Heptane is a liquid, non polar, straight chain alkane widely used as a solvent in laboratories. Heptane being a hydrocarbon it burns but would surprise you as it burns explosively resulting in engine knocking which is an undesirable quality. Heptane uses are also seen in painting and coating industries as mixed isomers. To buy heptane for any of your purposes you would have to find a dealer who is genuine and would supply to your required quantity, either big or small.To answer to your question of “Where can i buy heptane?” we have it all at Ibuychemikals.com. We supply pure grade heptane in retail and bulk quantities. 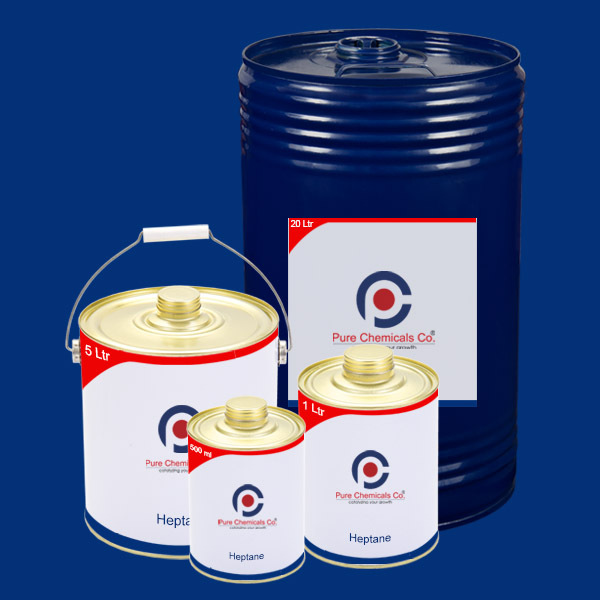 20Ltr metal drums are available for bulk purchase and 500ml,1Ltr & 5Ltr metal cans are available for smaller procurements when you buy heptane online. 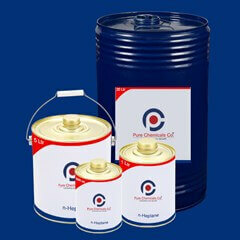 We have a very good delivery supply chain which takes care of end to end delivery when you buy heptane in India. Our systems and processes are in line & you can also track the order and check on the status of the consignment. We have a dedicated toll free number to answer to all your queries or you can always drop a mail.